Belle Property Kingston agency is growing rapidly thanks to their culture of helping one another and sharing information. Photos: Supplied. A strong team culture has set high-performing Belle Property Kingston agency on a speedy growth trajectory. Co-principal Dan McAlpine says the surge in sales and property management last year led to 10 new staff joining the Kingston Foreshore office, including established agents from elsewhere in the ACT. Belle Property Group’s quality marketing, branding and team culture have been irresistible draw-cards. “Two years ago we started with the four of us, and now we are a staff of 20 people, so the growth has been exceptional,” Mr McAlpine says. “We are opening another office in Queanbeyan to service Queanbeyan, Jerrabomberra, Googong, and rural lifestyle properties out as far as Bungendore within that catchment. Adding to the growth, Nathan Dunn opened Belle Property Retail Canberra in August specialising in retail leasing and management. Working out of the Belle Kingston office on major projects such as South.Point shopping centre, Denman Village Shops and Belconnen Freshfood Markets, Mr Dunn is showing yet another way Belle Property in Canberra can service the community. 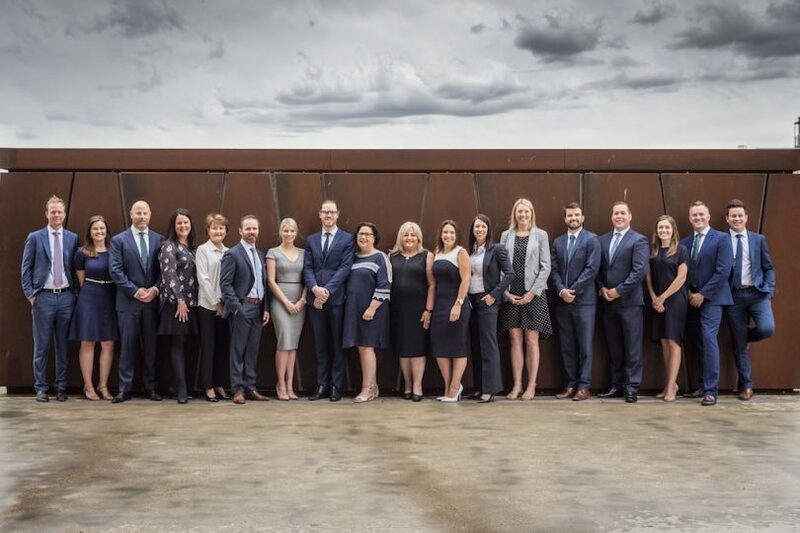 The Belle Property Group’s staff have embraced a culture of helping one another, sharing information, and an open database which is leading to more job satisfaction, productivity and better outcomes for clients. Up to four or five Belle agents arrive at open homes and auctions with a game plan to help one another. 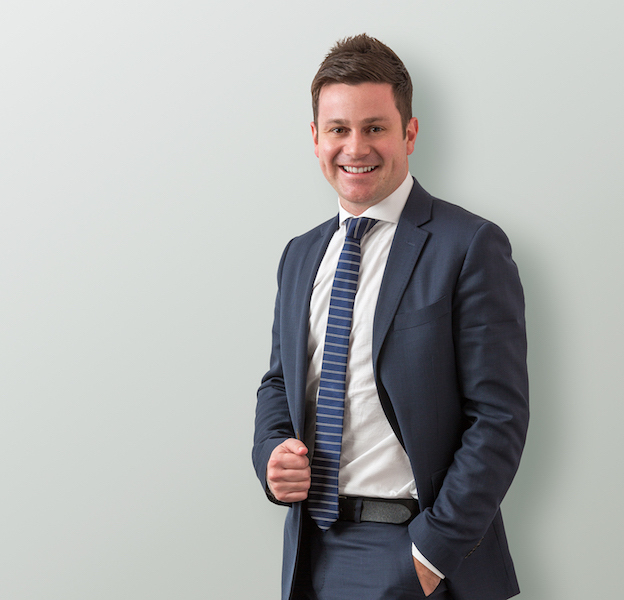 Helping people – both staff and clients – achieve their goals, is the most satisfying aspect of Mr McAlpine’s leadership role. Dan McAlpine, co-principal, Belle Property Kingston. “I see staff come in who have only sold on average 15 or 20 properties a year, but are on track to get 30 to 35 sales for the year, and it gives me great satisfaction to see them grow and learn. Of course, nothing is more pleasing than a great sale on auction day well and truly above your vendor’s exception,” he says. “Buyers are super happy too because they have bought the home where they will live happily for the next 20 years”. Mr McAlpine is optimistic that this year’s Federal election – traditionally seen as slowing the market – won’t put a handbrake on momentum for long during 2019. “Everyone thinks the sky is going to fall in, but the reality is that it won’t. For the 8-10 week window after an election is called, from mid-March to the end of May, typically it’s not a bad market,” he says. Canberra has out-performed the Sydney and Melbourne property markets, and will continue recording good sales during the election campaign, he believes. The reintroduction of first-home buyer incentives in the ACT will also help the territory’s entry-level market. Similar incentives in Googong, Queanbeyan, Jerrabomberra have already drawn buyers across the border from the ACT, but that should be addressed in 2019 by the Canberra incentives. “By spring, I’d like to think we are back in a fairly normal marketplace,” Mr McAlpine says. Easing restrictions on interest-only lending is already stimulating activity which will continue to make buying more attractive, and Mr McAlpine believes that tightening conditions stemming from the Banking Royal Commission will also begin to relax. “Banks have still got to make money and they have to lend to do so. We can see the light at the end of the tunnel,’’ Mr McAlpine says. Meanwhile, his expertise in marketing and communications – the two specific areas of his studies a decade ago at the University of Canberra – will continue giving the Belle agency an edge.